One of my favorite bloggers, Jordan Ferney (Oh Happy Day! 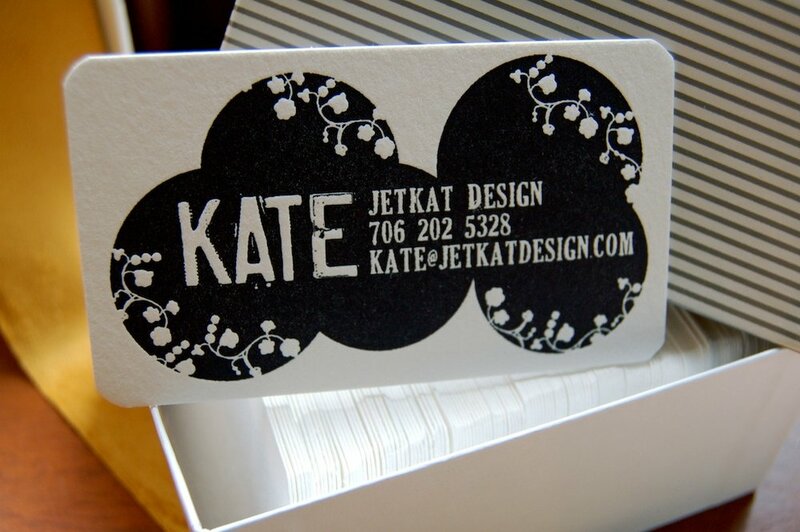 ), is based right here in SF and she's offering letterpress workshops! I took her first class a few months ago and it was so great! Jordan has a few spots left in upcoming letterpress classes and I highly recommend you sign up this instant! You'll really like her! We learned all the basics of letterpress and I got to meet several fabulous local ladies in the process. At the end of the class, I had new business cards (left).I printed them a few weeks before I got married, so I was torn about the last name. I surely didn't need 250 that said "Kate Zimmerman," but was hesitant to write "Kate Skogen" before the wedding; surely that would have been bad luck. So I just did Kate, plain and simple. What do you think? Last weekend, I went back to the Ferney Art Studio for a screenprinting class with Andy Kane... more about that later. Check out their studio site about all of their upcoming classes.